Enjoy unlimited admission to A Place Like No Other™ for two months with this exclusive offer. 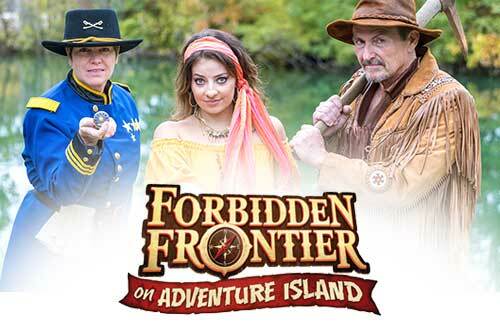 Tackle Steel Vengeance, dance your boots off at the new Frontier Festival and explore the new Forbidden Frontier on Adventure Island. 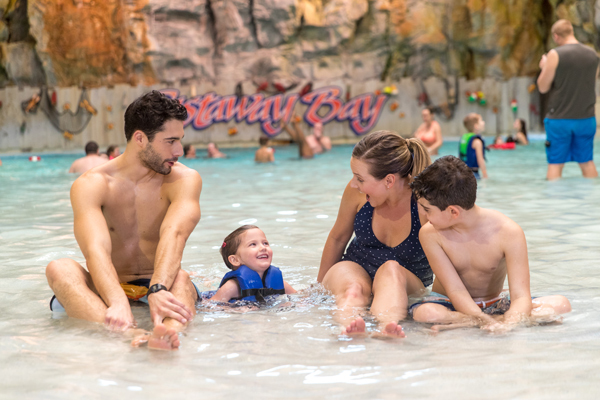 Book the Wild & Well Rested Package - includes an overnight stay at a Cedar Point property, admission to Cedar Point all of May & June, unlimited access to the Cedar Point mile long beach along Lake Erie, Early Entry to Cedar Point during the length of your stay, and length of stay parking. 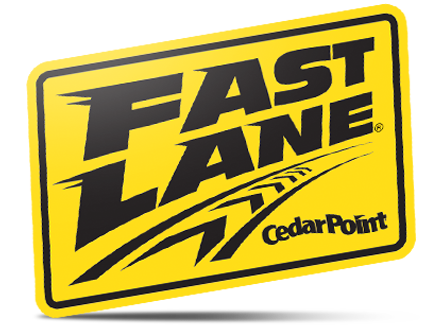 Experience All This and More with a Cedar Point Wild Card! "Best New Ride of 2018"
Go WILD on our award winning coaster, Steel Vengeance. Drop 200 feet at 90 degrees and topple through 4 head-over-boots inversions through wood, steel and mayhem. Do you have the spurs to tackle the "Best New Ride of 2018" as voted by Amusement Today? Now's your chance to ride as much as you can handle with your Wild Card! Go WILD at the new Frontier Festival filling the streets of Frontier Town this June! Sample tasty vittles and thirst quenching belly washers, enjoy rousin' fiddle playing, live bluegrass pickin' and nightly square dancing. 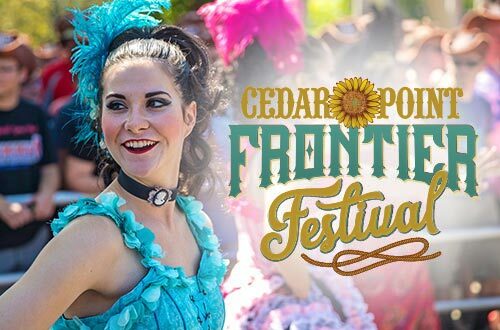 Kids craftin', pie eatin', lasso learnin', crafters and a ton of hoop-de-doo activities round out this sundown sunflower-inspired old west street festival. GO WILD! Grab your map and explore the Forbidden Frontier on Adventure Island, off limits to visitors until this year! It's a real-time, living adventure story where you choose how to play, who to trust and how to help the winning clan claim ownership of the island and the rumored treasure. Discover. Uncover. Together as much as you want with your Wild Card. What is the Cedar Point Wild Card? 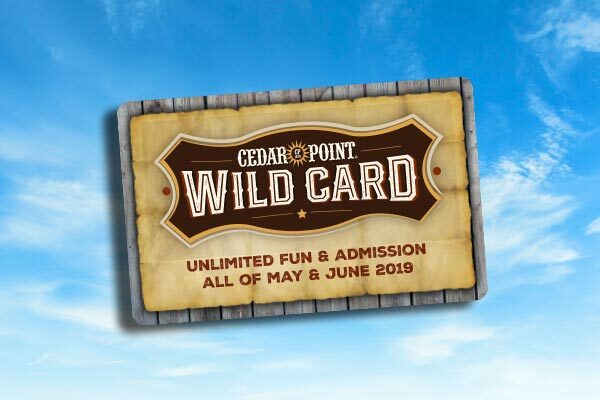 The Cedar Point Wild Card is a limited-time special promotion that is valid for one individual guest for unlimited admission to Cedar Point ONLY any public operating day from May 11 – June 30, 2019. How much is the Cedar Point Wild Card? The Cedar Point Wild Card is $59.99 plus applicable taxes and fees. When is the Wild Card valid? The Wild Card can be used at Cedar Point any day the park is open to the public from May 11 – June 30, 2019. Cedar Point Shores Water Park and parking are not included. Where can I purchase a Cedar Point Wild Card? 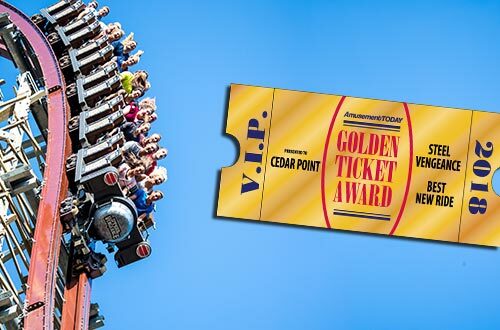 The Cedar Point Wild Card is available for purchase beginning April 1, 2019 ONLY at cedarpoint.com and through Cedar Point hotel properties. The Wild Card is not available at any admission gate for purchase or through retail establishments such as Costco, Meijer and Discount Drug Mart. How do I receive my Wild Card? After you complete your purchase, bring your voucher (printed or on your mobile device) to any admission gate. The associate will scan your voucher, take your photo and present you with your Wild Card. Your newly activated Wild Card is required for you to be admitted to the park.